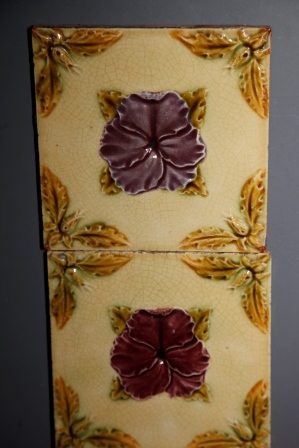 maker unknown circa 1900. 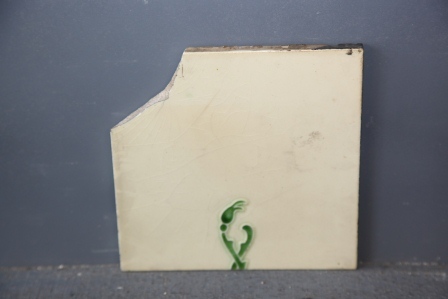 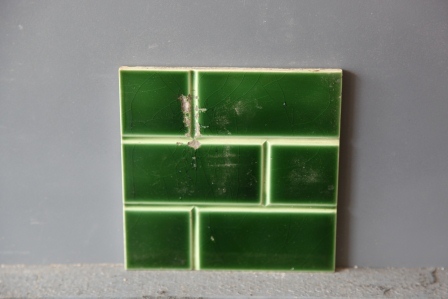 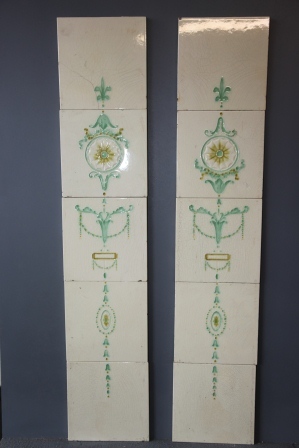 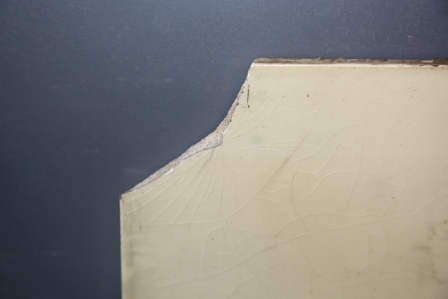 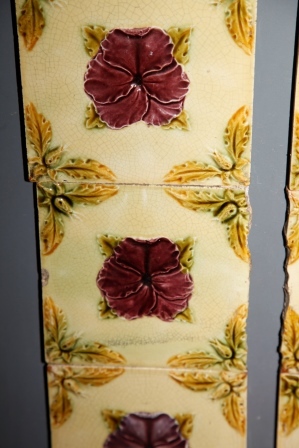 1 tile is broken but repaired and 1 tile is missing a corner this will nto be seen once fitted into a fireplace. 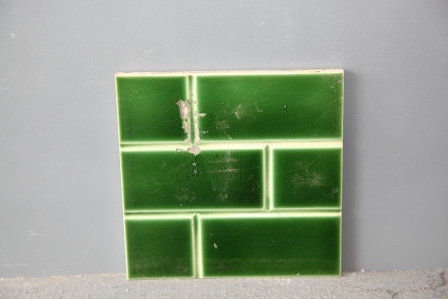 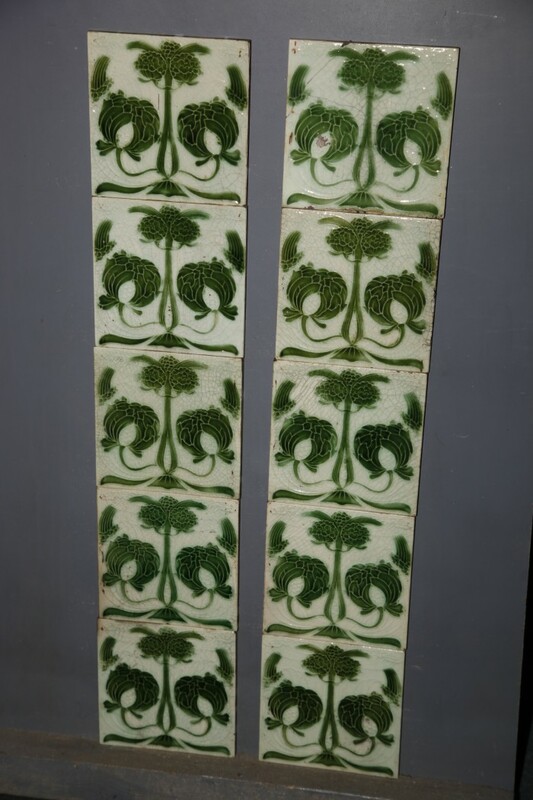 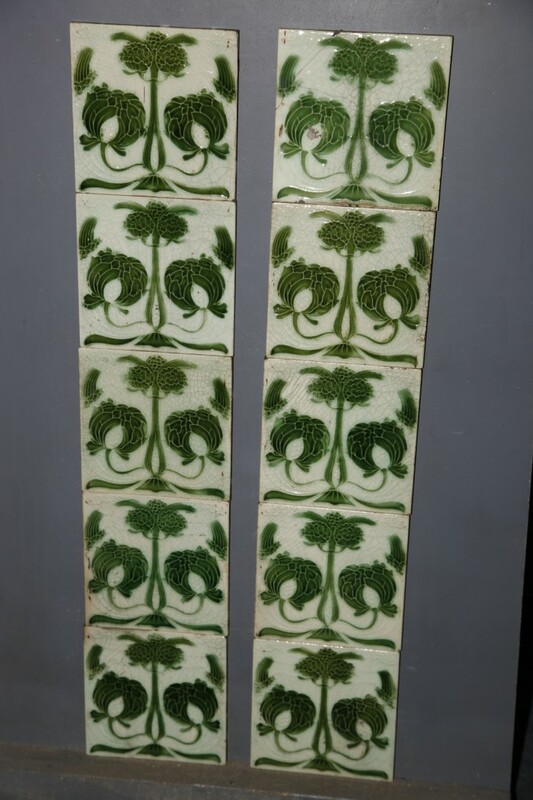 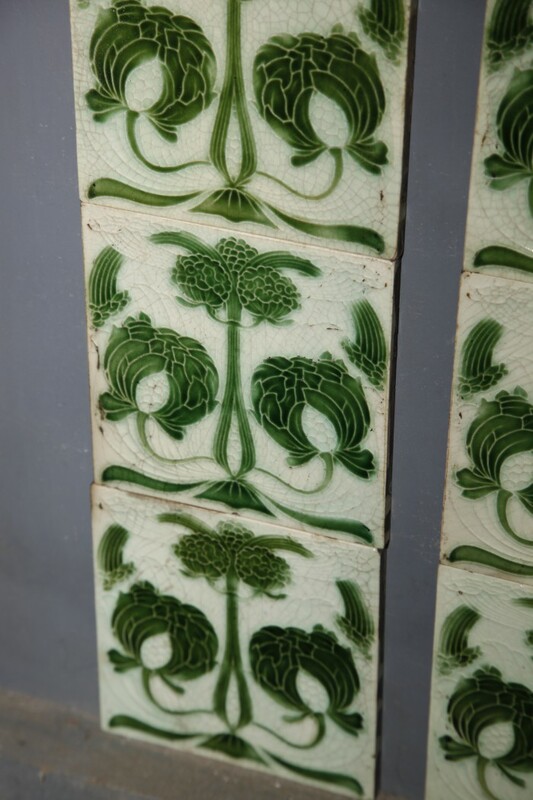 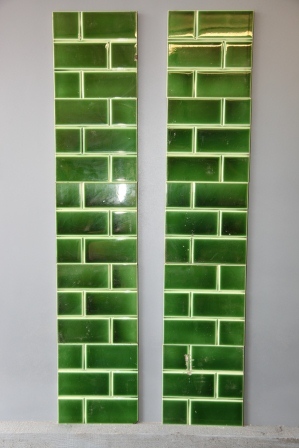 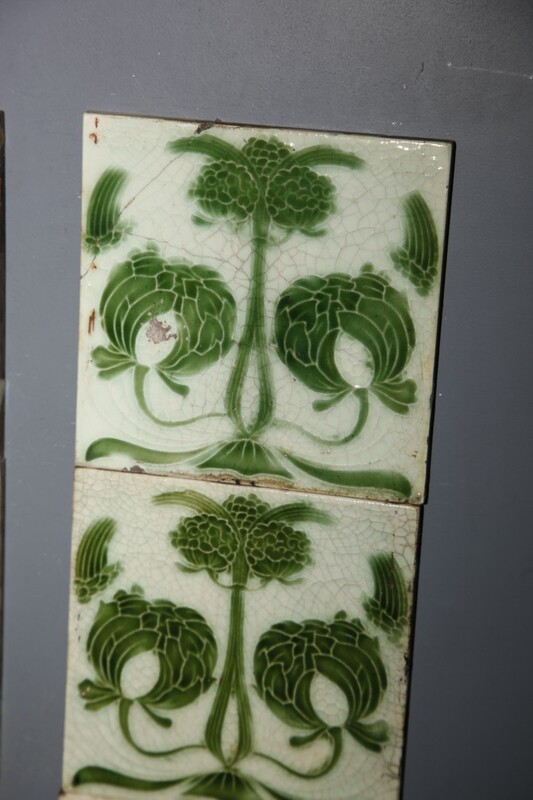 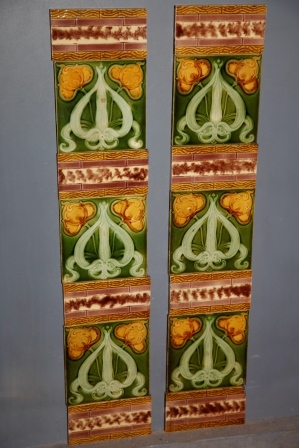 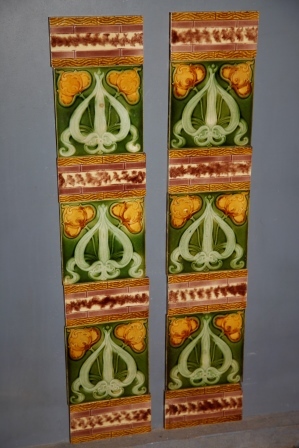 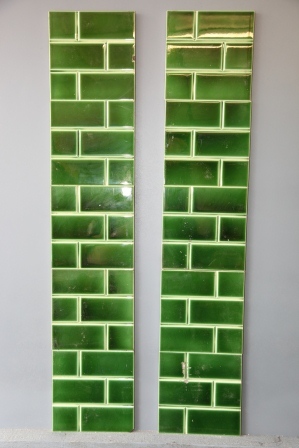 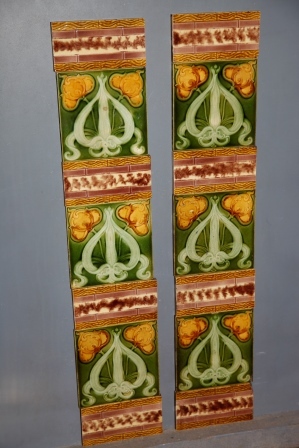 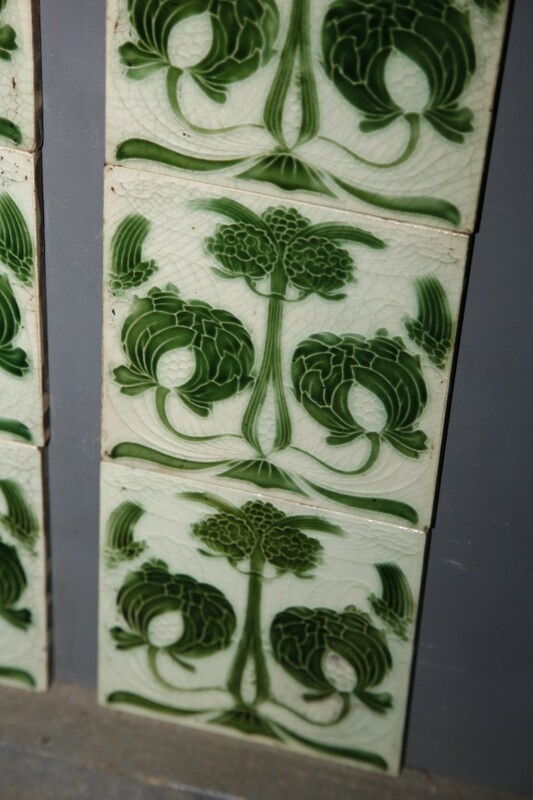 green brick tile maker unknown. 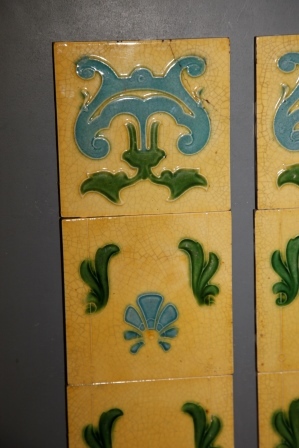 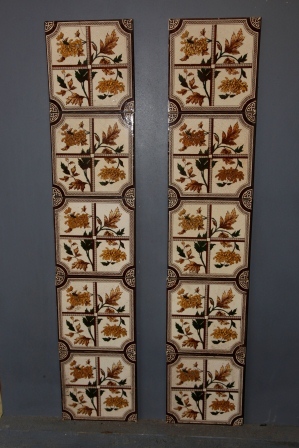 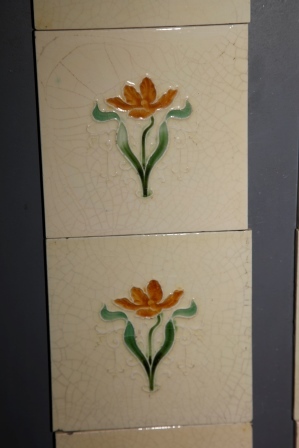 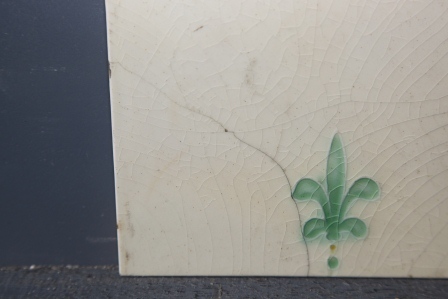 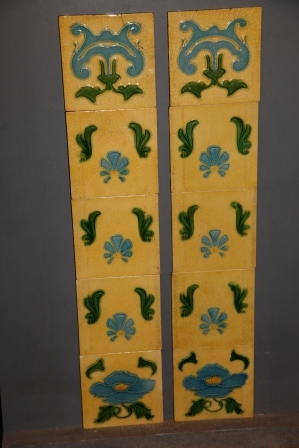 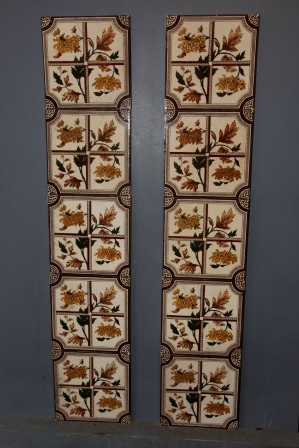 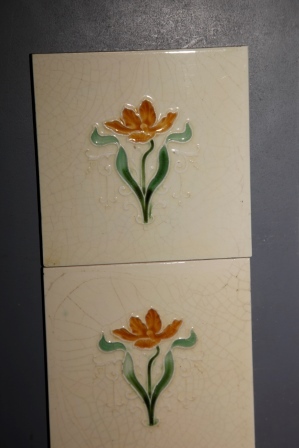 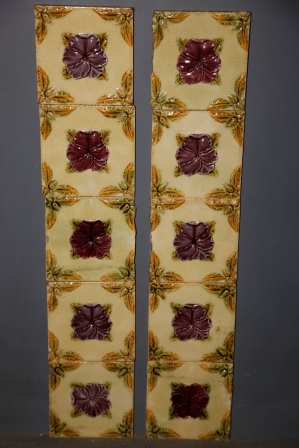 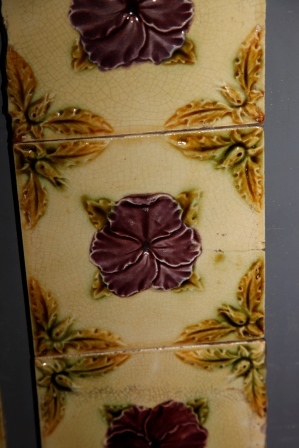 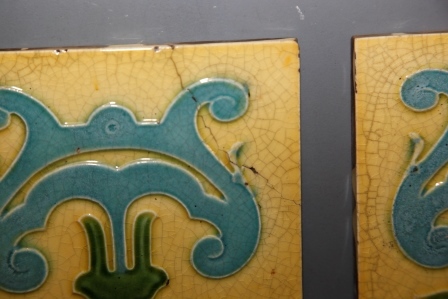 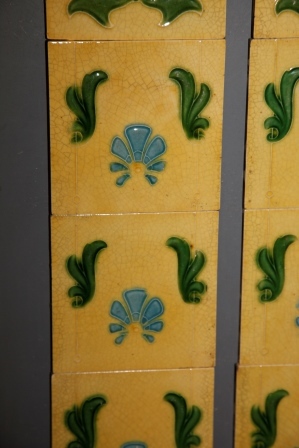 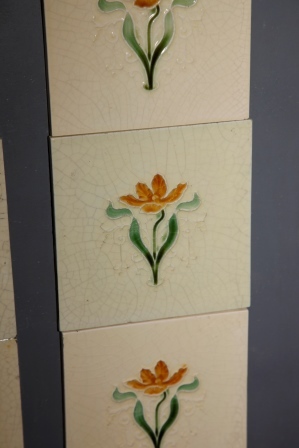 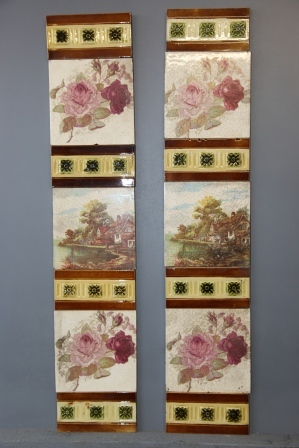 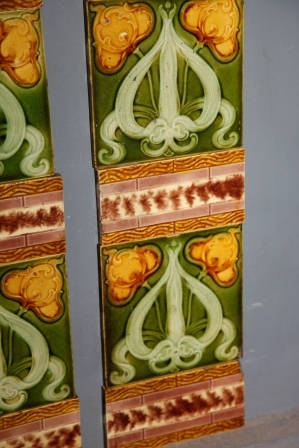 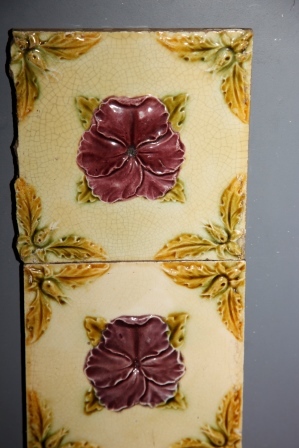 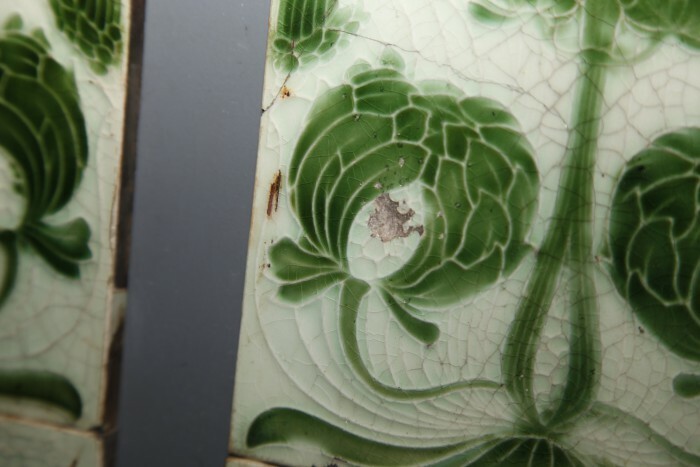 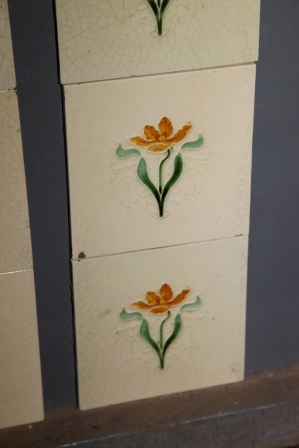 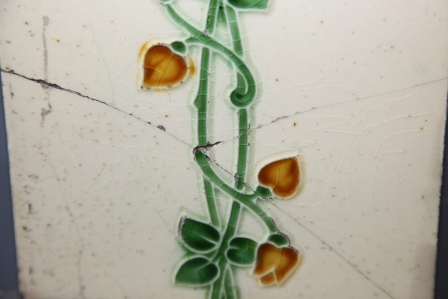 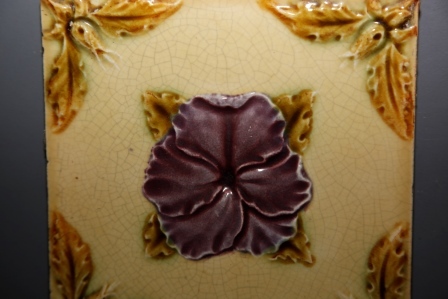 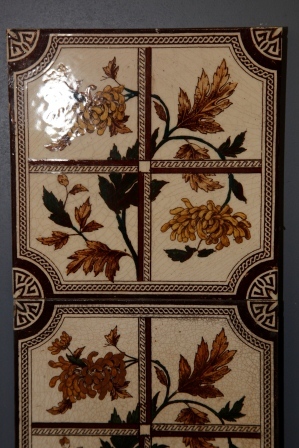 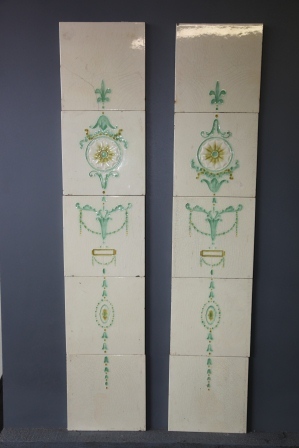 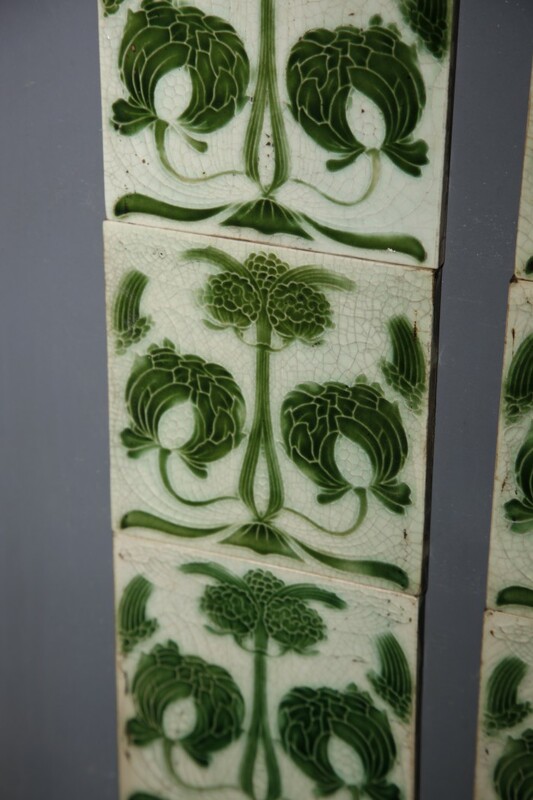 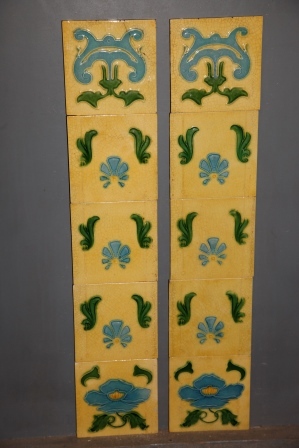 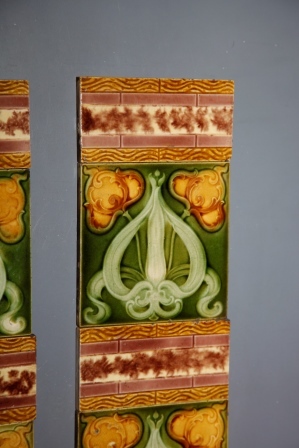 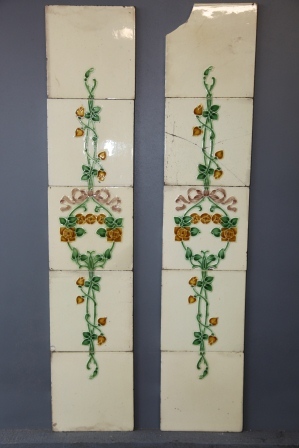 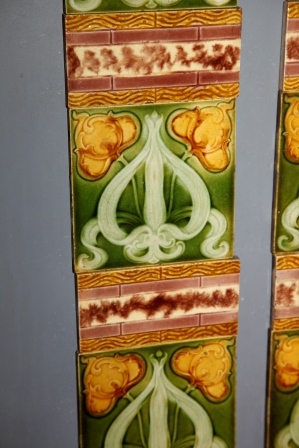 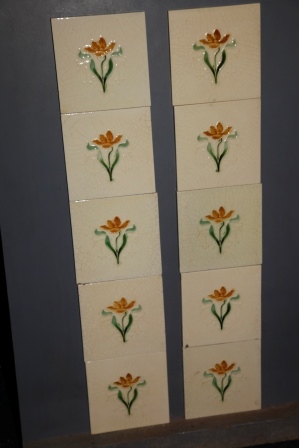 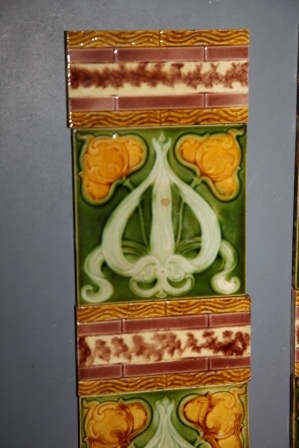 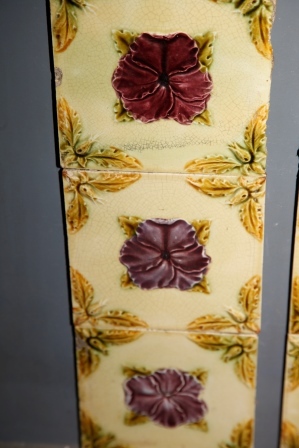 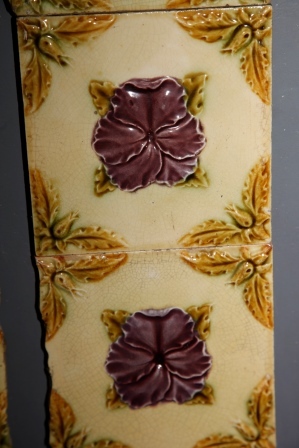 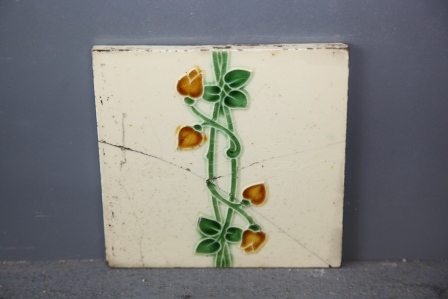 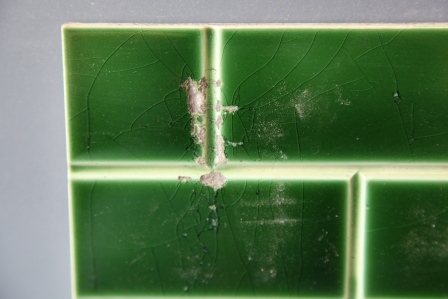 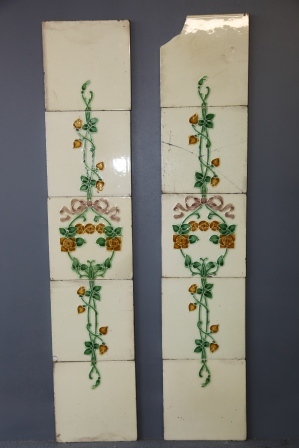 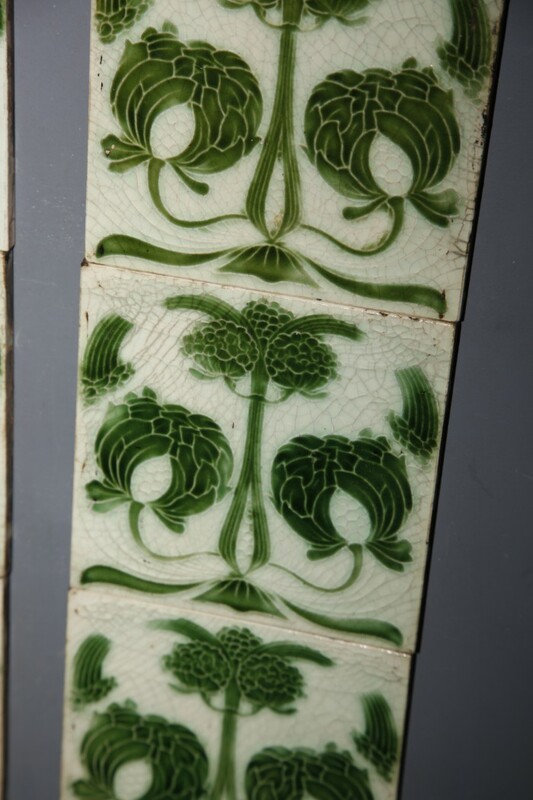 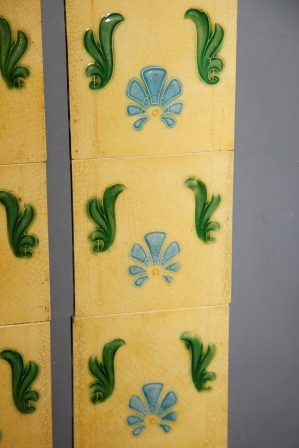 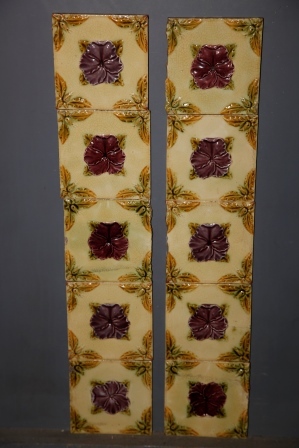 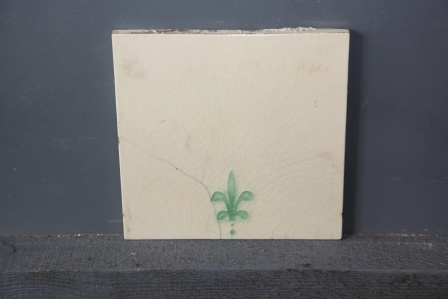 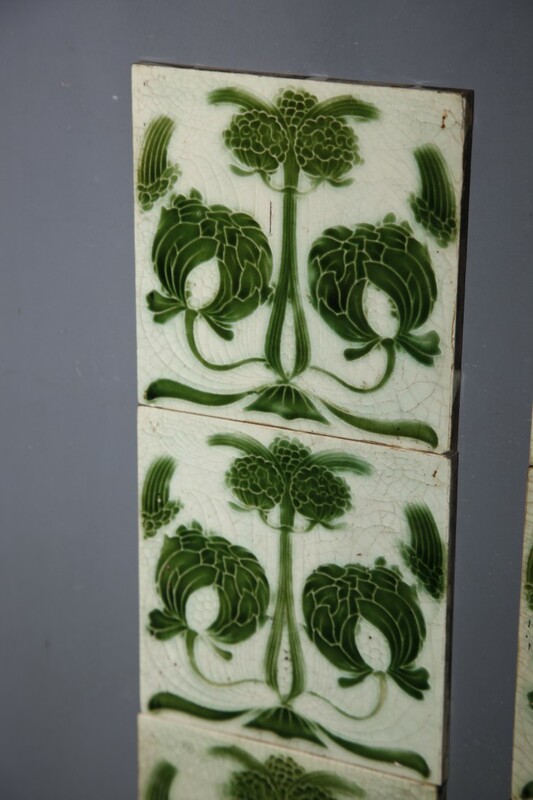 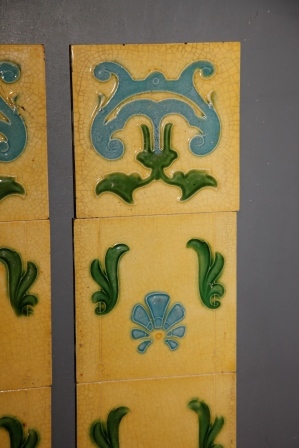 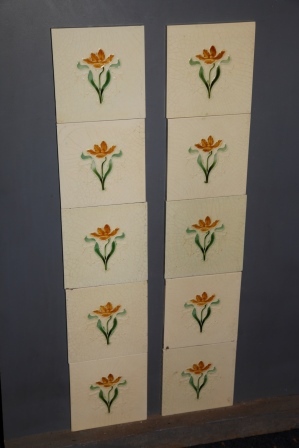 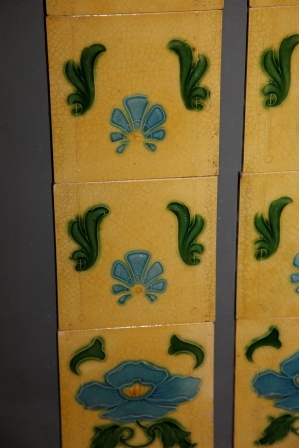 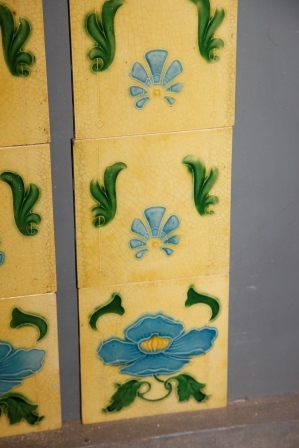 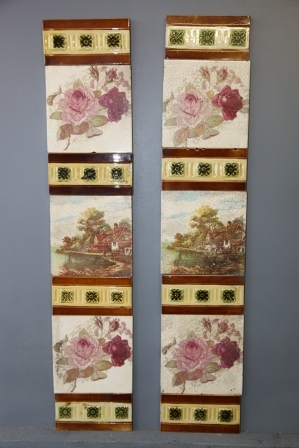 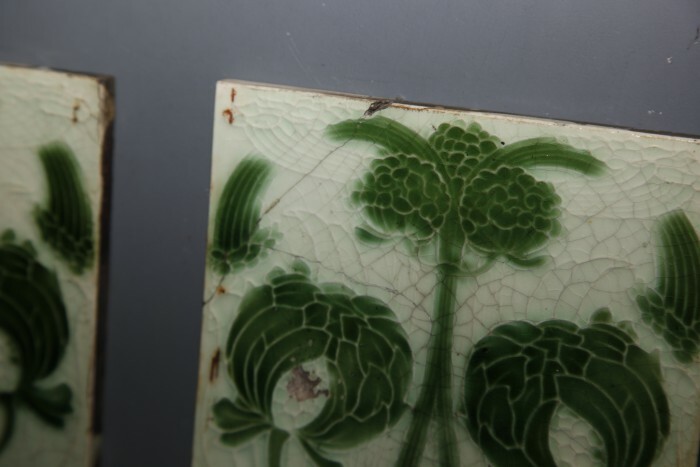 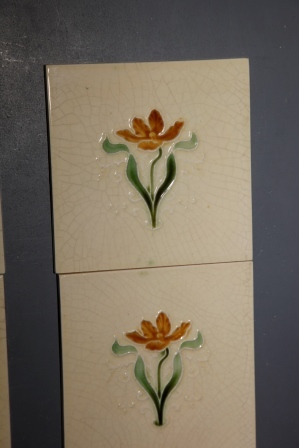 circa 1910 1 tile has a chipped face see image.